Established in 1986, our monastery was dedicated to Christ our All-Merciful Saviour, and we began the journey into a greater and deeper dedication of ourselves to Christ. We’ve had a difficult path to travel, with many hardships along the way. There was a night I remember clearly, when I sat up crying, and in the depths of despair, because our former bishop had turned against us, and we’d lost all financial and spiritual support from those we loved the most. Hieromonk Paul, my co-struggler, and the co-founder of this monastery, stood by me when others could find no good in me. We, together, suffered greatly during those early years. These were times when we were misunderstood, and ostracized by many of our own brothers and sisters in Christ. These were periods of extreme poverty, when we knew not where the next meal was coming from, or how we were going to pay the rent. Once we acquired our land, I personally suffered physical attack by a neighbor, who did not want a monastery next to his property. Yet the Lord, in His great mercy, allowed us to eventually purchase that very property. Giving up and walking away, was never an option. Even when we were hated, or misunderstood, we knew our monastic struggle must continue. 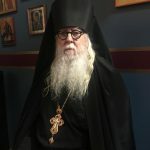 My own spiritual father, Blessed Archimandrite Dimitry, who’d suffered great humiliation during his long years, counseled me to keep my eyes on Christ, and not put my trust in any human. His loving counsel gave me strength when I did not receive support from those in authority over me. 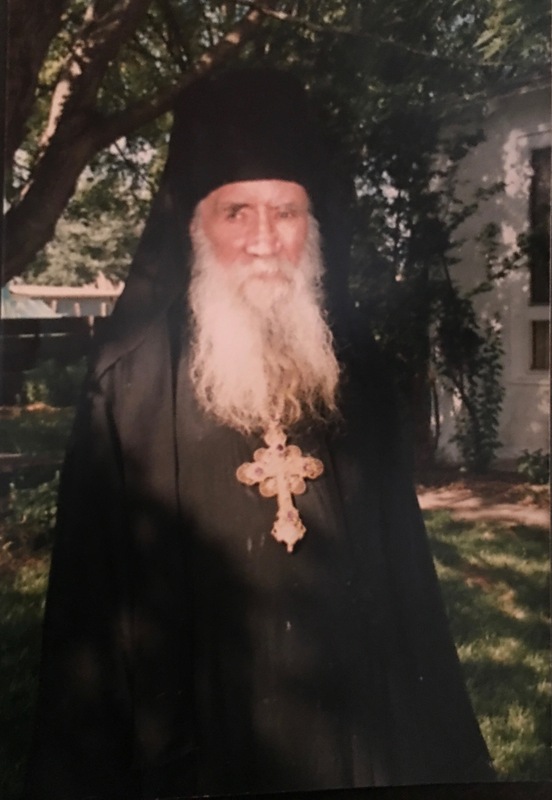 It was Father Dimitry’s holiness, and his unending joy in his life in Christ, that served as an excellent example to me. At one of the lowest points in my monastic life, I remember going to Father Dimitry, and asking his blessing to leave for the Holy Mountain of Athos, feeling that I’d totally failed in establishing a monastery. He told me that my salvation was on Vashon Island, and that I should continue my struggles where God had placed me. Needless to say, my spiritual father was correct, and this monastery is proof that Father Dimitry knew God’s plan for Father Paul and me. This beautiful monastery, surrounded by a forest on an island in the Salish Sea, is truly a miracle, and I am grateful that God has blessed me to be a part of it, however small and insignificant I am. I am grateful for my brother monks, all of whom love and honor me, just as I love and honor them. I am also grateful the Lord has gifted me, in my old age, the venerable Father Nicholas Letten, a ninety-two year old priest, as my friend and confessor. I am grateful for my loving and holy spiritual mother, Abbess Markella, who is both a friend, sister and mother to me. She is known to those who know and love her, for her gift of clairvoyance. No matter how difficult my struggle becomes, no matter the persecution that would crush my spirit, and bring me down, she always counsels me to trust in God’s love, and to remember that, in the end, the attacks of the evil one will be overcome by His Great and Loving Mercy. She reminds me weekly of the protection my monastery receives from the Most Holy Theotokos, in whose name we’ve dedicated our temple. Knowing Mother Markella, this venerable holy nun, respects and loves this monastery, means everything to me. I consider myself a truly blessed monk. Glory to God for all things. 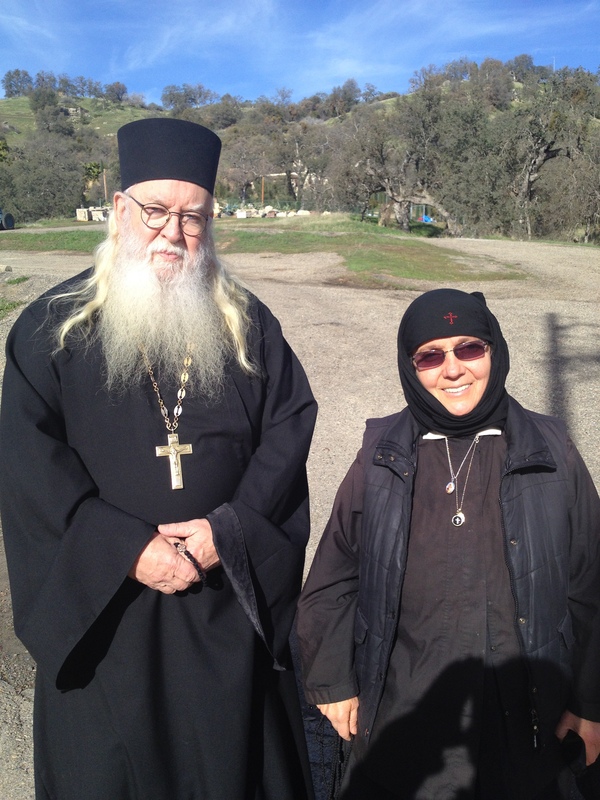 Photos: Blessed Archimandrite Dimitry of Santa Rosa, and Abbess Markella of the Life Giving Spring Greek Orthodox Monastery in Dunlap, CA. 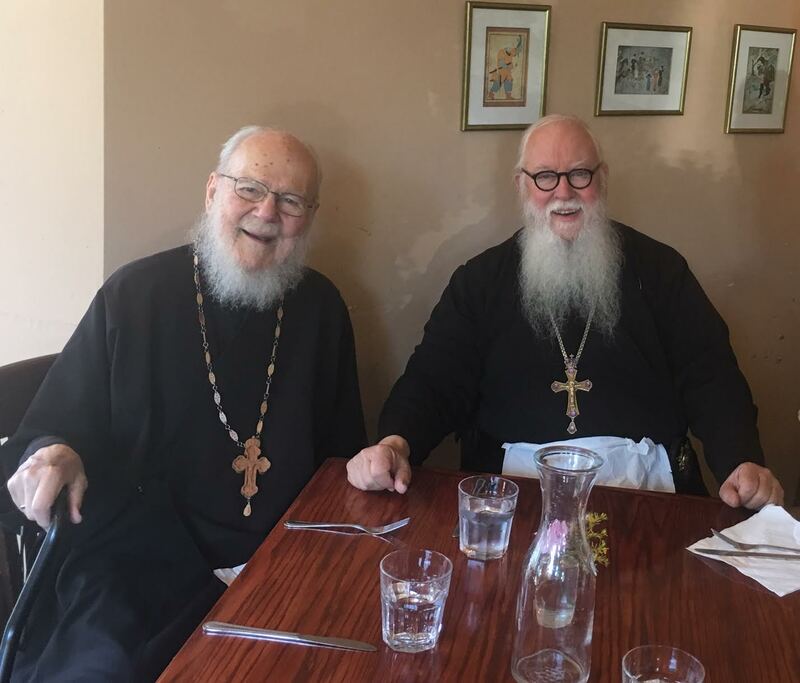 The third photo was taken recently while visiting Father Nicholas in Portland, Oregon. 2 You therefore, my son, be strong in the grace that is in Christ Jesus. 2 And the things that you have heard from me among many witnesses, commit these to faithful men who will be able to teach others also. 3 You therefore must endure hardship as a good soldier of Jesus Christ. 4 No one engaged in warfare entangles himself with the affairs of this life, that he may please him who enlisted him as a soldier. 5 And also if anyone competes in athletics, he is not crowned unless he competes according to the rules. 6 The hardworking farmer must be first to partake of the crops. 7 Consider what I say, and may the Lord give you understanding in all things. 16 “These things I have spoken to you, that you should not be made to stumble. 2 They will put you out of the synagogues; yes, the time is coming that whoever kills you will think that he offers God service. You make a difference to my life – thank you . I imagine the monastery wasn’t built by your playing it safe. I imagine you took great risks. I imagine everything possible, every asset at your disposal including the human ones, was leveraged to make it all happen. Glory to God for your obedience! Everybody needs to not only read about your beautiful monastery, they need to make a pilgrimage. I am eternally blessed by your daily guidance through your writing and your prayers. You have made a difference in my life, even though we have never met in person. Please remember me in your prayers, as I remember you. I still have fond memories of Baltimore, where I presented a day long retreat at the Greek cathedral. A beautiful city, with beautiful people. God bless you, Pastor Tomlinson. Thank you, Abbot Tryphon, for your great expression of gratitude to your Orthodox elders. It is inspiring to read, in a sense, about how apostolic grace was and is passed down to your generation, and to further feel how you share some of it, humility in particular, in your blog! Love seems to be the essential way any community cooperates, and the way we endure hardships or persecution. So I feel much love from these spiritual parents whom you honor, as they have supported you through so much struggle. In the past, I have also spiritually felt a bit of the difficult experiences you mention by using your Monastery’s products – it’s like these items are imbued with the Monastery’s past. That’s not a realistic feeling by the world’s understanding, but it felt reassuring.